You may already be relying on cloud computing without even realizing it. Think about your email provider: Are they offering some sort of anti-spam protection? Or what about your anti-virus program? Are they constantly updating and securing your desktop application? They are delivering service from the cloud, without on-premise hardware and software. This is a great example of how SaaS has infiltrated our work and software installations without us thinking about it. In this guide, we suggest 16 things you should consider before deciding whether cloud computing is a good match for your business. Read more about how small businesses use cloud computing. Finally, beware of the hype. Cloud computing seems to be a flashy car on a used car lot. As with any new technological initiative that aims to sweep you away, it’s best to take that sweet car on a test drive first. 1. The growth of cloud computing is astounding. It is estimated that the worldwide cloud computing market is $8 billion with the U.S. market accounting for approximately 40% of that: $3.2 billion. According to Gartner’s 2011 predictions, number one on their list of Top Strategic Technologies is Cloud Computing. Gartner also predicts that the SaaS market will hit $14 billion in 2013. A recent Techaisle survey of small businesses (1-99 employees) within US, UK, Germany, Italy and Brazil shows that only 37 percent of small businesses have heard about cloud computing. Among those who have heard about cloud computing, 13 percent said that they did not know what it meant. 44 percent of the respondents think that cloud computing means subscribing to services such as servers or storage hosted by a third party and 29 percent think that it means access to applications over the web. Even among the 29 percent of small business that use SaaS, not all of them have heard of cloud computing. According to AMI-Partners recent study, “Small and medium business (SMB) spending in the U.S. on software-as-a-service (SaaS) will increase exponentially over the next five years, eclipsing growth in investments in on-premise software by a significant margin. AMI forecasts a 25% CAGR in hosted business application services spending through 2014. Even though this survey was based on 150 IT and networking professionals, it gives you some idea of how your small business staff might respond to SaaS offerings. The study revealed that 54% of respondents use two or more SaaS applications or other cloud-based services and only one third (34%) currently do not use any SaaS applications or cloud-based services. It would suggest that if an experienced technology professional at a larger enterprise would choose SaaS, then it could work for a smaller company as well. According to a 2010 THINKStrategies presentation, which has been covering the SaaS marketplace, SaaS usage or adoption in 2007 was 32% among their respondents and in 2008 had jumped to 62%. The most common reason why small businesses choose cloud computing solutions over desktop applications is this: It is less expensive because you pay a small monthly amount instead of a one-time fee as it works now with traditional desktop software. On a cash-flow basis, it is less costly because your cloud based apps are often slightly less costly than an annual purchase or upgrade for common programs. However, you have to look closely at the pricing plans and details for each application. Another common reason is that the SaaS application is often a simpler version of something that is installed on your machine and you’re currently using. There are fewer bells and whistles, so to speak, and the developers of many cloud computing apps have created just the basics that customers need to get the specific job done. Salesforce.com, one of the market leaders in the cloud computing industry, had over 52,000 customers in 2009. Rackspace, a hosting provider, has over 1,000 SaaS apps in its new AppMatcher.com service. 3. 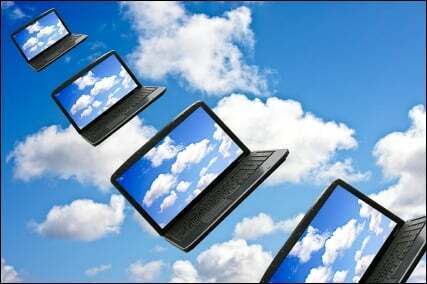 Cloud Computing Solutions are available all the time – no matter where you are. For some business users that operate virtual offices or operate remotely on different machines depending on location and they need the application to be accessible from a web browser. That is one of the biggest advantages of cloud computing– it is available wherever you have access to a computer and browser. If you are not connected and operating your laptop offline, does the program offer a way to run it offline and synchronize when you are connected again? Many apps have either a mobile app or a widget you can download and run a lighter version of the software. For example, some Google Apps offer a desktop version called Google Gears, which will sync your data when you are back online. 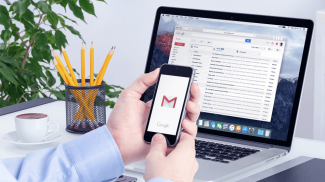 Google Apps, by the way, has over two (2) million businesses and 25 million users in its cloud computing marketplace; including companies like Smartsheet and Batchbook, just to name a couple. 4. Sometimes simple, focused cloud computing solutions will do the trick. Do you use all the features of your desktop app? If not, a cloud computing application might offer a “forever free” plan that allows you to do the same work as a desktop application, but limited in some way. For example, a billing solution might let you run an unlimited number of invoices, but for only 2 separate clients. You can find a range of great applications at The Small Business Web. It offers a terrific directory of cloud based applications from accounting to versioning. This isn’t to say that all apps that live in the cloud are more basic than their desktop equivalents. But that they often offer a slimmed down basic package that can help you get the job done when you don’t need a more feature-rich version. For example, Outright offers a simple bookkeeping app that’s free. But you can also integrate it with other financial SaaS apps to do more with it. Read the Outright Review. 5. Be careful about the security of your data. Many organizations are worried about the associated privacy and security risks that a cloud computing system brings when vital information is made accessible to a third party. Generally, if you operate in an industry that requires greater privacy or security standards and you find a cloud computing app vendor working with your industry, then they’ve likely developed for that standard requirement. However, check the details to fulfill any legal, financial, or ethical concerns. Remember: You’re still responsible for making sure data is where it needs to be, whether that’s onsite or in a cloud. Your cloud computing vendor is not responsible for your data, your security, your data privacy. They may promise certain aspects of security, but if you are a financial institution, for example, the buck stops with you when the regulators come calling. Make sure you’re not violating any compliance concerns and that your data’s safe. One more perspective and advantage of operating in the cloud comes via a May 2010 USA Today article that shared about how one small business owner had his store burglarized and eight desktops were stolen. He simply purchased eight new computers and was up and running in minutes, thanks to the cloud services he used, which included Salesforce.com, FinancialForce.com, and Quickbooks Online. 6. Make sure that your cloud computing vendor is stable and reliable. Are you sure you want to invest your cash in this particular cloud computing software vendor? How long have they been in business? How many customers do they have? Can you talk to users directly? You can sometimes read the testimonials and get good information and if the testimonials are real, they will often link to the person who made the comment. While those individuals do not expect to be contacted by every interested prospect of a cloud computing app vendor, you may be able to talk to some of them. Do a search on Twitter or Facebook or Yelp. Twitter is probably the best, though. Many customer support departments are on Twitter to catch complaints or problems and try to solve them quickly. You can observe that comment stream by using Twitter Search. Tom Fisher, in a guest blog post at Sandhill.com, suggests you ask questions like: “Can I see the resumes of the executives running your operations?” or “Can you brief me on the engineering team that will be delivering the critical application that I’m betting my career on?” This might be going a bit too far, however, you can be sure if you’re using a mission-critical application that you’ll want to ask some tough questions and receive great answers. 7. Consider the uptime of your cloud computing applications. Uptime is the time a hosted application’s performance record essentially. Most are in the range of 98-99.9%, which acknowledges that servers go down for maintenance or unexpected problems. How quickly do they fix the problem? This can be an issue for mission critical applications and you’ll often see the highest uptimes for apps that are in this category. They know how important their service is to customers. These are often covered in what’s known as Service Level Agreements, or SLAs, so read those carefully and discuss changes with the vendor, if needed. 8. Be certain that they have true customer support. Is there an extra charge for support and maintenance or is that included in your monthly subscription fee? It is usually included, but like any purchase, read the fine print. Check if you have access to a customer support team via phone, email, or social media. 9. Your cloud computing vendor should be flexible. You can add and subtract users, as needed (some call this scaling where you can increase your software license “seats” incrementally). Your monthly fees are dependent (usually) on how many users you have. Often, your capital outlay to “purchase” cloud based apps is lower than traditional on-premise or desktop apps. In terms of scaling with your needs, cloud computing is one elegant way to do that. Read more about how cloud computing can scale your business. 10. Evaluate your need for software upgrades. Cloud computing applications get updated and improved regularly and you benefit from every improvement without additional direct cost and without the effort of downloading and configuring upgrades. Enhancements tend to happen more quickly and in shorter development cycles and often occur based on customer requests. However, a downside for some companies is they fear they would lose the flexibility that the on-premise software model provides. With cloud computing apps, the development of upgrades or new features it is often up to the vendor. You may lose some deeper functional tools you get with a desktop app. In some cases, such as online retailing, you want a cloud computing application because it changes with the marketplace. 11. Your cloud computing solutions should integrate well. If your need involves some sort of integration, then cloud computing might be for you. Many of today’s cloud based apps offer an API (application programming interface) that other synergistic apps will leverage. For example, you might find an accounting package that ties into a CRM package. If you wanted to do this with you current desktop application, you would have to pay someone to customize both apps for you. A web-based app might have already done it for you and it would save you both time and money. If integration is a concern, you can look at an offering like CastIron (recently acquired by IBM) that “pre-configures a number of apps” so that you can connect to the solutions you are already using. When it comes to cloud computing and particularly app integration, the 2010 TechAisle study highlighted that 26 percent of small businesses have heard about cloud computing from their channels, while only 13 percent have heard about it from an IT company. So, as you contemplate customization with your existing apps, you’ll want to make sure your IT provider knows the ins and outs of cloud computing integration. GetApp.com matches business buyers with cloud computing software providers. They currently have over 2,200 applications across over 300 categories in their business “app store” and you can drill down by different needs and functions to help you find the right app or set of apps. GetApp.com offers free services to small businesses for finding and comparing business applications delivered as on-premises Software, SaaS, Virtual Appliance and Cloud Computing. How quickly do you need a solution? Do you need something right now? If rapid deployment is integral to your project, cloud computing offers a definite advantage. Many cloud computing products are up in running in hours, if not minutes. You may not get every feature set configured to your need, but you can often start working right out of the gate. 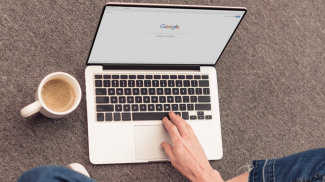 If the provider you evaluate has an API (application programming interface) connected to another application you need, then it may offer solid advantages over a desktop application you’ll need to pay more to customize later. For example, many small business owners will use a web-based ecommerce solution like BigCommerce (one of the market leaders with over 8,000 customers) or one of the 48 other shopping carts we listed in this post: 49 eCommerce & Shopping Carts for Small Businesses. Traditional and larger software purchases usually start with a request for proposal (RFPs), design, development, testing and negotiations. All that can take months. With most cloud computing systems, the customer can generally see the application working during the trial period, and return on investment (ROI) happens more quickly. 12. Cloud computing is not always the cheapest solution. If cash-flow is an issue, cloud computing applications may be a perfect option. On-premise software purchases often involve high upfront licensing costs. With cloud computing apps, there are usually no large up-front licensing fees requiring departmental or board approval. Most of the time, there are no annual maintenance fees, either. SaaS pricing is often transparent and clear on a website pricing page. Generally, if a cloud computing app vendor does not reveal its pricing or requires a demo, it means it is a more complicated solution that demands some installation process or customization that will cost you more upfront. Again, that is a generalization, but what we often see when do product reviews. Cloud computing applications are not always cheaper than on-premise desktop software. Gartner says it can be true that cloud computing solutions are less expensive during the first two years, but may not be for a five-year total cost of ownership (TCO). With no initial large investment into cloud based applications, that makes sense. They suggest that you should expect to see your TCO rising in the third year and beyond. So, again, as we mentioned above, it is going to depend on the exact pricing of the cloud based apps you’re considering, how many users, and so forth and then compared to a similar number of licenses for desktop software. 13. Consider how quickly your software needs to change. When an application package requires an upgrade, users are often faced with two options: Upgrade at a high cost and experience delays as the new features are evaluated and plans for adoption are formulated. Hire or enlists local IT talent to develop, test, debug, deploy and train personnel on the new application. Continue using the older version of the software and avoid any advantages that an upgraded version might bring. We want to be careful not to paint a picture of cloud computing applications being completely superior to a desktop application as that isn’t the case. It just offers another way to solve your software challenges. In both cases, you are waiting for software changes to be made by the software company, but in the cloud computing model you typically see those upgrades faster than with a desktop application. The vendor applies upgrades at the data center. The upgrades are made available to users immediately via online connection and there are only minor delays. The upgrades also come at no cost to the user. This is important to emphasize: Your monthly fee covers the upgrades, so when you compare pricing you need to consider this. If you upgrade every year, then the monthly outlay may be lower from a total cost perspective over time. With a desktop application, you are waiting until the next release, which often only occurs annually. 14. Sometimes you can accomplish your goals with a product that doesn’t have every bell and whistle you desire. Cloud based applications can be less robust by nature of their focus on a particular area or business niche. For example, Shoebox does…bookkeeping only. Some pundits argue that you have to operate your business, from a software perspective, using the Pareto Principle (80 per cent of the effects come from 20 per cent of the solution), however, this is not entirely accurate. Most desktop users routinely state that they do not use all of the features of a desktop application. This is part of how many cloud based applications get developed; taking aim at the core problems that users face instead of offering an overwhelming feature set that most users will never even try. Even if the cloud computing application does not have every feature you need, you often can add it via customization or premium levels of vendor service. Most well-designed cloud computing systems offer extensive interface capability, usually via Web services that integrate both internal and hosted systems. Each application provider is different, of course, and your specialized functions may not be available even with integration and configuration. It is a myth that cloud computing software doesn’t play well with legacy applications/data sources. There are two primary methods of integrating cloud computing apps. The first method is batch synchronization, which initially involves exporting/importing your data into a cloud based application. Once this initial data load has been made, data can be incrementally synchronized on a scheduled basis. The second method is real-time integration via Web services, which is like a neutral middle layer where your application talks to the cloud computing company. Now that we’ve debunked the myth that cloud computing software model is only okay for simple implementations, let’s point out that you have to evaluate the implications and limitations of cloud computing software for your needs. Some gaps remain for complex, end-to-end processes that require complicated workflows or business processes. All of this section on goals leads us to scalability: Will your cloud computing vendor allow for future organizational evolution and code customizations? 15. Engage your technical team. For many reasons, you should keep your lead technical people in the loop for security and integration issues. If you’re a business user, and not sure about what information you’re sharing, you could be sending information out the door that onsite applications need or you could be putting corporate information at risk. One of the challenges with cloud computing is that applications and services are now easily accessible to business end-users, who can acquire these Software-as-a-Service capabilities without input from their IT or data management teams. Cloud integrations can be complicated by other, related problems, such as data replication, outages and the hassles of outsourced data storage. If you’re tech team doesn’t know you are running certain cloud based apps, you could create a challenge in more than one functional area. Good cloud computing companies have built their apps on a Web-services based architecture. It’s less proprietary, and as such it’s easier for these apps to share data with one another. Sometimes these standards could inadvertently create security problems. While these standards make it easier for companies to integrate services, it also could give the keys to the kingdom away to hackers if the proper security is not in place. 16. You still need internal training. 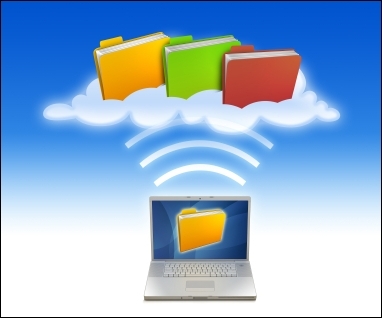 Cloud computing applications are often easier to use and require less user training. Most SaaS vendors provide online video tutorials as well as robust user communities and forums where you can get answers to your challenges. Users often get direct access to these teams and it can reduce the burden on your own internal teams. Cloud computing is one of the important trends shaping technology for the small business market today and likely for decades to come. Overall, if you’re trying to grow your company and are limited by finances, cloud computing brings down-to-earth benefits for most. Add mobile computing to the mix via Smartphones and other mobile technologies like the iPad and you see where installed, on-premise applications have a shrinking audience. Consider the story about how the theft of a 8 computers only stopped one small company for a matter of hours while they hooked up new computers and then connected to the web. In this guide, we suggested 16 things you need to consider before choosing cloud computing solutions. You’ll find most cloud computing apps give you a new perspective on how you get work done, how you solve problems. Cloud computing gives you and your team flexibility in location, at a cash-flow level, and in how and what we call software. The term “cloud computing” might still be buzz-worthy and talked about like that flashy sports car on a used car lot, but the reality is there’s a super-powered engine under the hood most of the time and you’ll be sold from that test drive all the way to ownership. I use ubuntu cloud which i got almost free. Thanks for the stats on cloud computing. I love the fact that it is now possible for small businesses to play as equals with big businesses out there simply because enterprise solutions are now made cheaper and more available than ever. Yes, security is still an issue, more of ‘where’ and ‘how’ you access those data in the clouds. It’s simple common sense to not use a public wifi to check on your cloud computing solutions. Now, I can also see this as a threat to IT outsourcing as cloud computing is much cheaper than hiring a third party vendor who may need to be instructed in the first place — unlike cloud computing where you only use what you need, when you need it. This is a great post. It was really informative. Thanks. The faster SMB’s get onto cloud computing, the better off they will be. I agree with Shaleen that security is still an issue, but when hasn’t security been an issue in any part of IT. Security should be and is as the top list of any cloud provider, but so are the benefits. Scalability, flexibility and freedom of use. Bring on the cloud and all its still has to offer. Let us learn from our mistakes along the way, as we do in all new IT ventures, but let us do it without the hype please. Thanks everyone for the positive comments here and all the retweets. I also appreciate the positive emails many of you have sent. Thanks. The editorial team worked hard on making this a useful guide. Cloud Zone — tell me more about what sorts of hype you’ve observed. I’d like to define that in this thread. For my finals in Law, I am doing a survey of attitudes of people in business towards the opportunities posed by cloud computing, and some of the legal risks and threats this poses, including technical limitations, business continuity, data protection, data security and regulatory compliance. It takes about 10 mins to do, but you do need some knowledge of it – for example, you have considered buying it for your business. I would love more people to do it from small and medium-sized enterprises. The results should hope to formulate policy on better liaison between commerce and law. The comment above from me by Cloud_Zone is brilliant! Please put my survey on your excellent feed. I know it well. I am trying to understand whether business people have a general awareness of the possible legal risks and issues involved in cloud computing, in light of the purported benefits, such that they don’t see it as a silver bullet necessarily. A lot of people simply wish suppliers to be open about the risks involved, the vast majority of which can be obviated in some way. Excellent original article TJ McCue. Thoughtful (if a bit long) article. 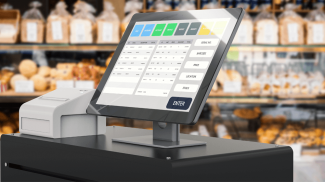 Liked the perspective, because overall I think you make the case that for small businesses utilizing cloud applications is most likely the easiest, fastest and cheapest — while also making it easiest to constantly be updated on the latest technology. I agree! Thanks Cloud Zone. Appreciate the clarification. Thanks Adam, appreciate the comment and the link to Forbes. Great article TJ. You hit the most important points. Adoption of web-based business apps by small businesses is exploding. The software industry claims that in the US only there are more than 10M SMBs that have bought web-based business apps for the first time. These are companies that never bought enterprise software before, because of cost and complexity. SIIA predicts that 24M more SMBs in the US will buy web-based apps in the next three years. Interestingly, the main roadblock to adopt cloud-based apps is not the cost or security and availability fears but the difficulty to find the right solution for their needs. That is why we have developed GetApp.com. Our objective is to improve the discovery and evaluation process for SMBs. The site currently features over 4200 apps available, most of them cloud-based and suitable for small businesses. Any feedback on additional resources that can help SMBs with their cloud applications choice is more than welcome. Thanks again Smallbusinesstrends for such a great article. Thanks a bunch for adding some comments here, Christophe. And for the update on so many new apps. Definitely heading in to check things out since last time I visited!! Very cool work you’re doing. Thank you very much for this post, especially your mention on data security. I think that this raises the larger issue of data and hardware security at small businesses. This issue is the 800-lb gorilla in the room when it comes to SMB computing – the incidence of theft and loss is skyrocketing, all while the costs of such incidences are also skyrocketing. To make matters worse (as I discussed in my blog post here: http://blog.laptopsentry.com/post/Lost-Stolen-Laptops-a-Greater-Threat-to-Small-Businesses.aspx), the costs of loss and theft don’t scale, meaning that small businesses are at a greater risk than their larger scale competitors. I think that this is an issue that, when discussing cloud computing in general, warrants much greater attention.